First independent appliance retailer to join Philly-based appliance recycling program helps keep energy hogs off the grid, divert waste from landfills and reduce emissions. 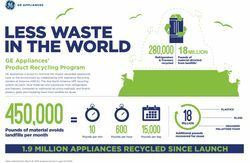 LOUISVILLE, Ky., — April 29, 2015 — (NYSE: GE) Spichers Appliance has vowed to responsibly recycle about 10,000 appliances annually through a recycling program championed by GE Appliances. The family-owned, independent retailer based out of Hagerstown, Md., joins the ranks of other large national retailers to support innovative approaches to recycling. 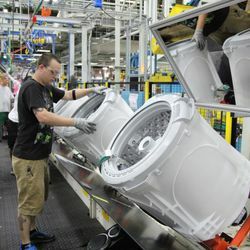 Spichers will use the services of ARCA Advanced Processing (AAP), which services GE Appliances in 12 east coast states. Spichers Appliance is the first independent retailer to sign up for comprehensive appliance recycling services in Philadelphia. 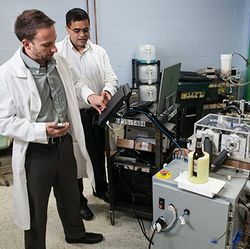 For those appliances that don’t meet the cosmetic and functioning test for resale, a typical recycler will recover refrigerant and other materials and substances from a used refrigerator and then send it to an industry shredder. 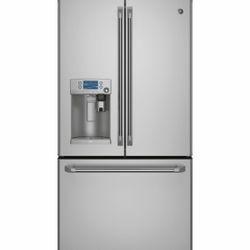 Using traditional recycling methods, approximately 55 pounds of a refrigerator ends up in landfills, including the insulating foam and plastics. 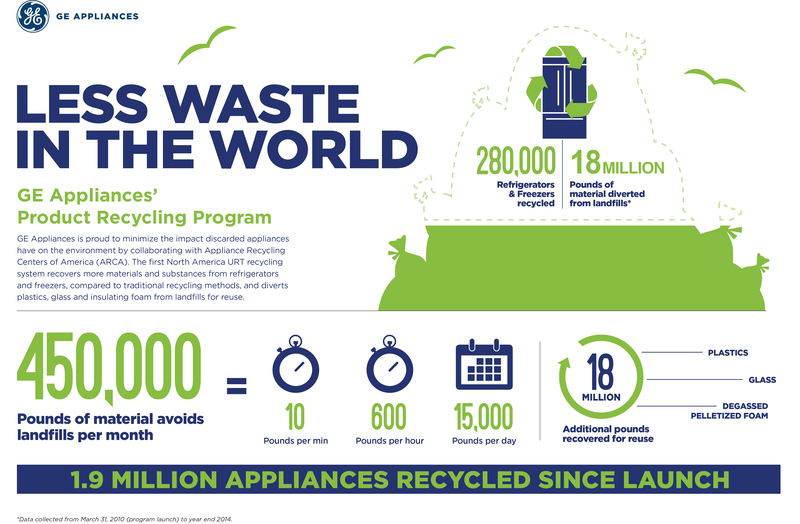 * Using GE Appliances’ Product Recycling Program serviced by AAP, landfill waste is reduced by 85 percent and less than 8 pounds of used appliance material goes into a landfill. 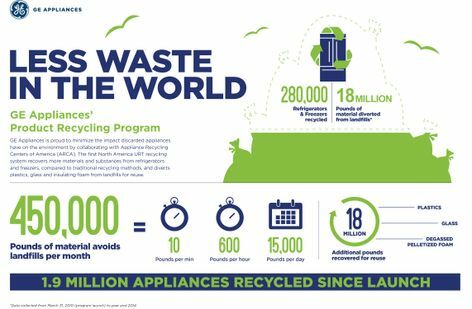 In addition to Spichers Appliances’ commitment to the appliance product recycling program, the retailer is also partnered with the Environmental Protection Agency (EPA) on their Responsible Appliance Disposal (RAD) Program. RAD is a voluntary program through the EPA that focuses on innovative and responsible recycling of refrigerant-containing appliances. *ARCA Advanced Processing 2010 Landfill Data, based on the component listing found in the American Plastics Council 1994 Composition, Properties and Economic Study of Recycled Refrigerators Report. 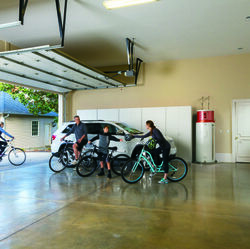 **Based on a 2010 survey conducted by the Stevenson Company on behalf of GE Appliances and Lighting.